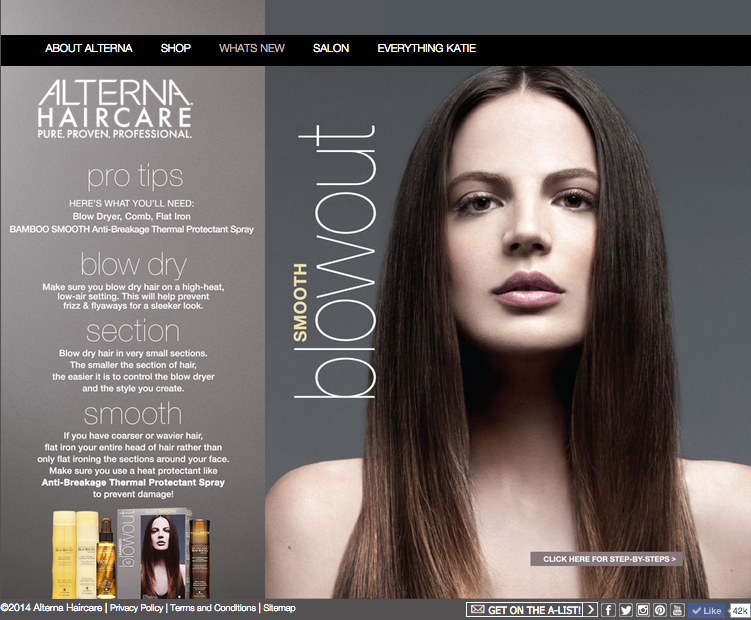 Product and pro tips design on Alterna haircare website. Final collaboration with multimedia manager Soni Aldaco. Highlighted each Bamboo Blowout style guide to each product family - smooth, bombshell and boho. Branding fluent along each page.